Thank you, Steve, for letting us bless another one of your stores! Stop by at this location next to Like Like Drive Inn! Our acrobatic performances are getting popular! 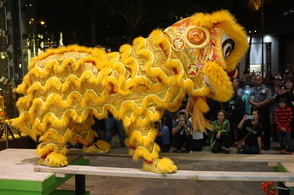 Take a look at our pictures and video to see the animation of the lion! Thank you to the lovely brides for having us perform for your special day! Thank you, Anasia Sports Bar and Cafe, for being a sponsor for Sing Yung Hawaii! What better way to celebrate their wedding day than with a jong (pole) performance! Big parties call for good entertainment! Thank you Jose's for having us at your family reunion! 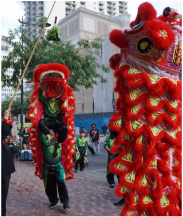 Even though it's a small celebration doesn't mean you can't have lion dance there! 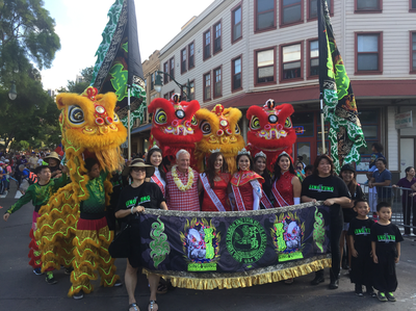 Our second year participating in the Aloha Parade. 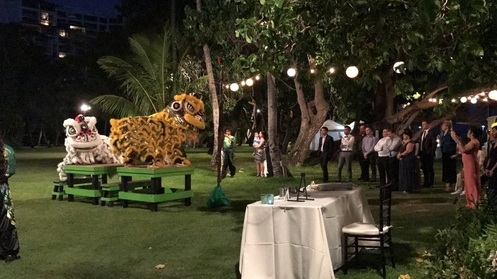 We brought out our dragon again with our lions AND included a baby lion for our young performers! 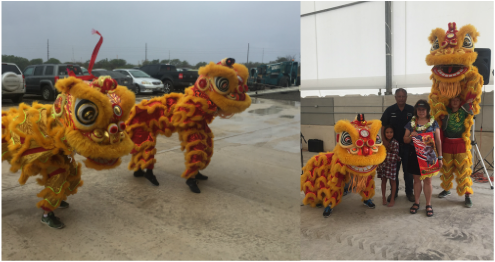 We were invited to perform at the Moon Festival, but it rained us out. 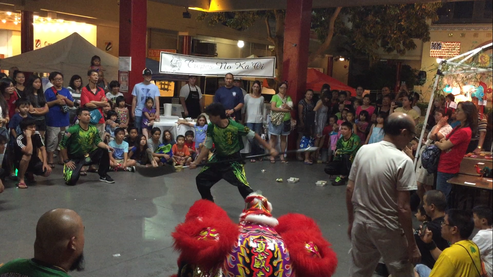 Check out how we think on the spot to still utilize our time to give you guys a performance! We don't like to cancel, we adjust! Second performance of the night, same day, and a surprise, too! The groom wanted to surprise his new bride with a special blessing! Click "See More" to take a look at a cool twist to their "chang!" 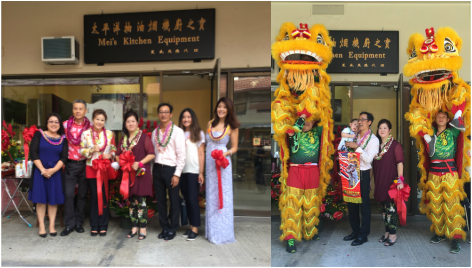 ​How special it was to have a childhood friend surprise them with a lion dance blessing on their 30th birthday! Pineridge Farm had a Family Fun BBQ to bless their new truck yard! 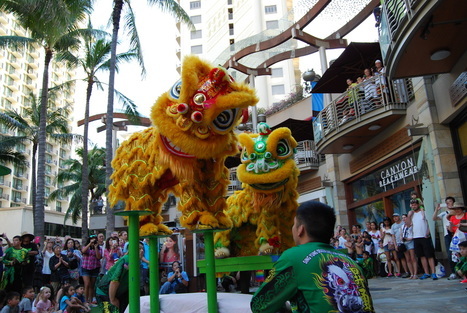 Out of all the lion dance groups on the island, we were selected to bless their store at their grand opening in July. Two days in a row to showcase our culture's tradition! Click to watch the video from the second day! 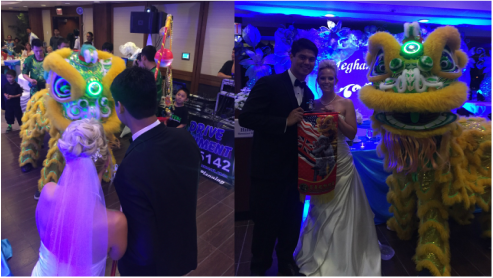 ﻿This was our first time to have 9 lions to be requested at this wedding reception! Thank you for choosing Sing Yung Hawaii! Home Street Bank's grand opening on Waialae Avenue and Wilhelmina Drive.Same building as 3660 On The Rise. 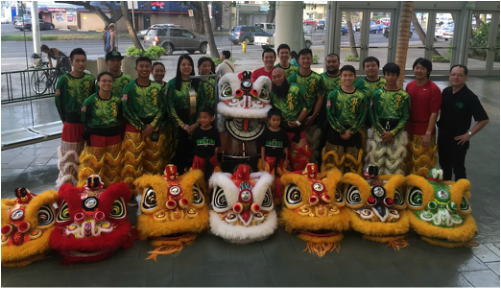 ﻿We were graciously invited to perform for the opening of the Honolulu Festival at the Hawaii Convention Center on March 11th. 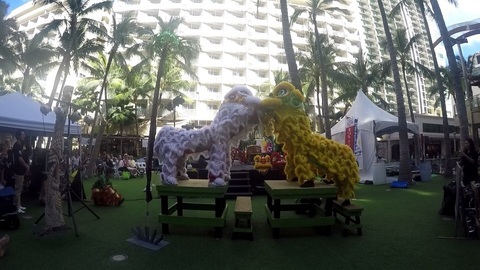 Chinese New Year in Waikiki was a success! Even though these performances are done every year, we take it as a big accomplishment and with pride. 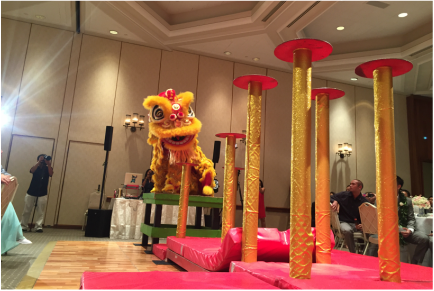 Multiple traditional and pole acrobatic routines, martial arts demonstrations, and dragon and lion dances are done all in the same week! ﻿Visiting a few schools for their Chinese New Year/culture lesson! Starting off the Chinese New Year's celebration in Chinatown. 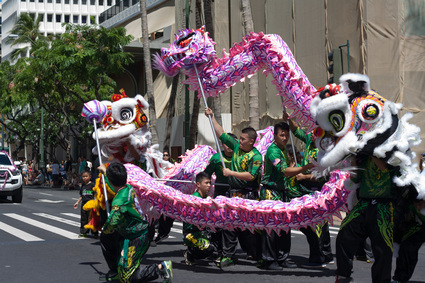 Chinatown's famous block party that extends through a few blocks on Maunakea Street and Hotel Street.